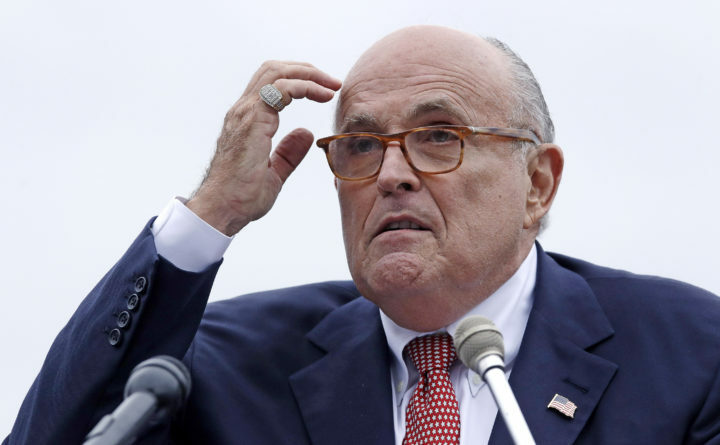 Rudy Giuliani, an attorney for President Donald Trump, addresses a gathering during a campaign event fin Portsmouth, New Hampshire, Aug. 1, 2018. Warner, who serves as ranking Democrat on the Senate Intelligence Committee, said he and Chairman Richard Burr, R-North Carolina, have agreed they want to bring Cohen back to testify before the panel. Cohen testified before the committee in 2017 and is expected to appear Feb. 7.